Previous message: [FFmpeg-user] subtitles - visual alignment offset? Hi, I am outputting Quicktime Prores files and ffmpeg is inserting an 'Annotation' into the file, where other applications do not insert any. Here's how you see it. 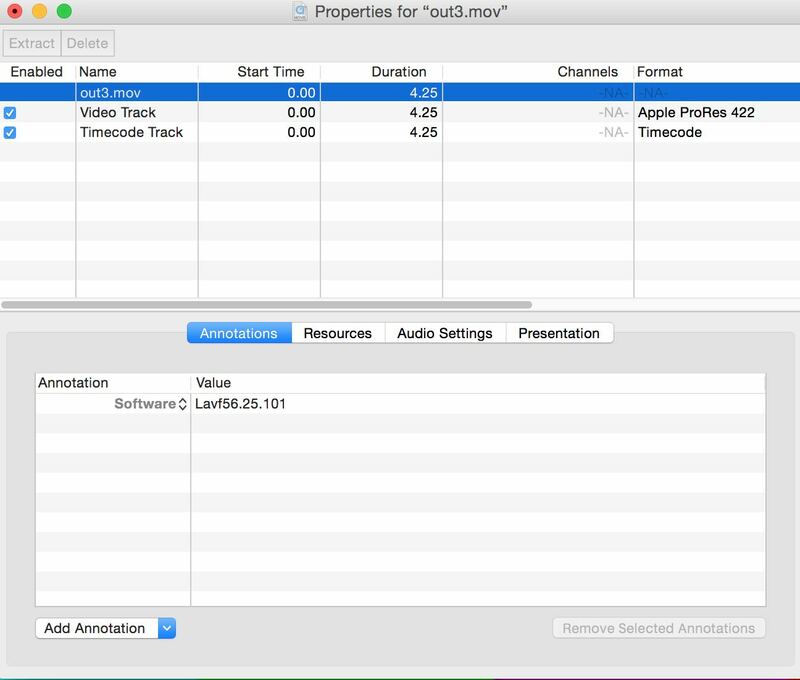 Open the file in Quicktime, Show Movie Properties, and you can see the Annotation 'Software - Lavf56.25.101' which has been inserted by ffmpeg. Is there a way to stop ffmpeg from inserting this Annotation?